Beside my research activities I may have some pieces of writing that could be worth reading. Or not, I let you decide. Get your hands and feet on the EEG activity that relates to them. Learn how to use a P300 speller, i.e. 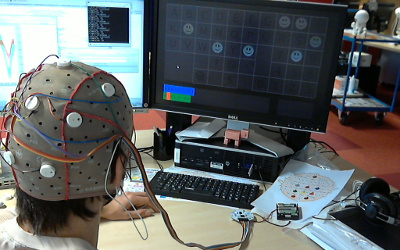 typing words using solely your brain activity. © 2015 Stuff powered by Jekyll + Skinny Bones.